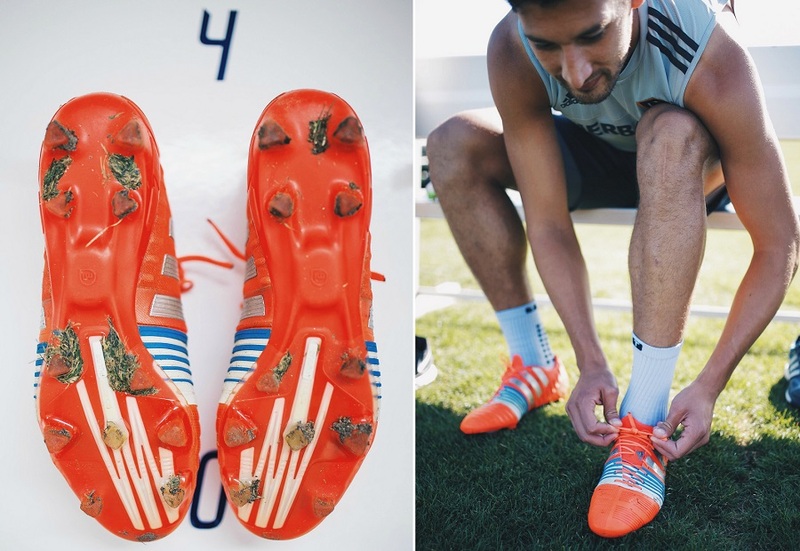 Home / Adidas / A Day In The Life of Omar Gonzalez’s Adidas Nitrocharge! Here is a really cool feature that went up on the LA Galaxy website earlier today. 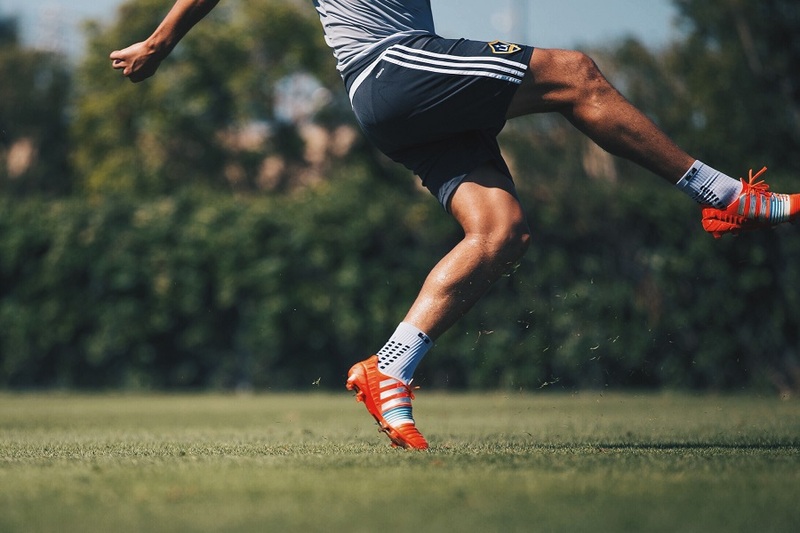 Galaxy’s team photographer, Hana Asano, documented a “day in the life” of Omar Gonzalez’s soccer boots – his second generation Adidas Nitrocharge. 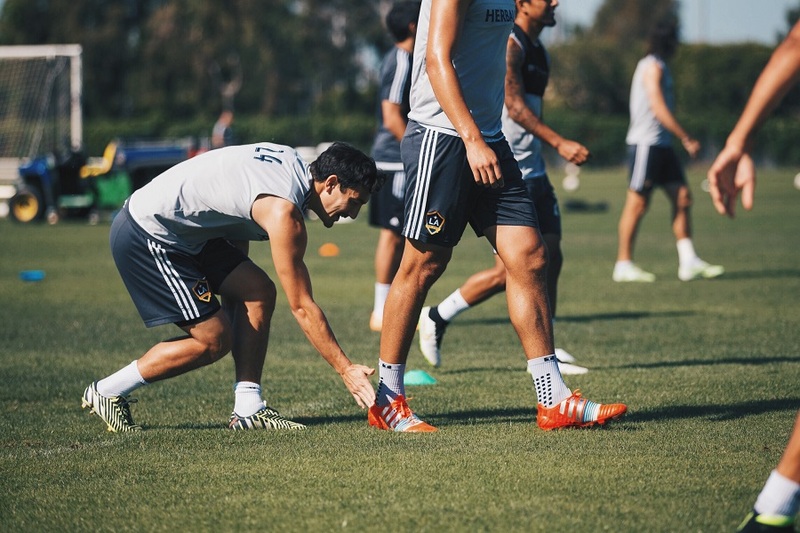 In the photo gallery, shot during Tuesday morning’s training session, we can see the journey that Gonzalez’s cleats take from hanging in the Galaxy’s boot room to the training pitch to the inevitable post-training cleaning! 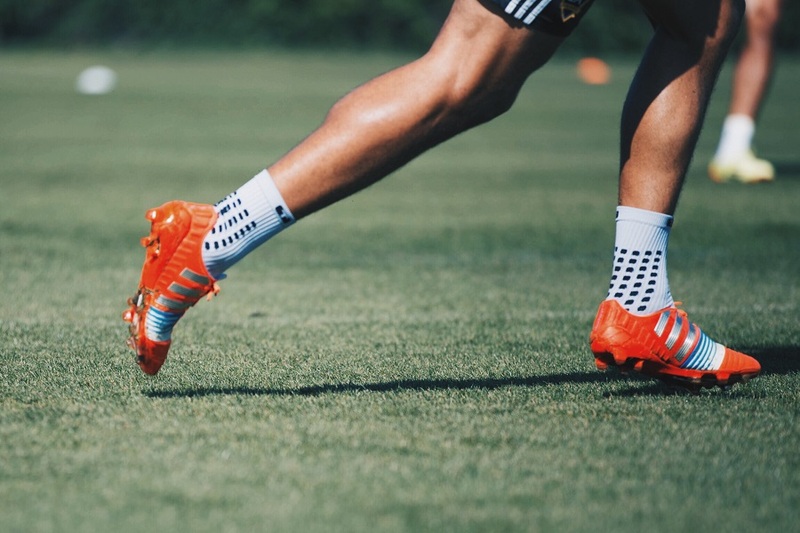 It is an interesting angle to take, focusing on a players boots to uncover how they participate through a training session. And it is the perfect way to highlight a boot that might not get a whole lot of attention due to its less conventional attacking style! For those interested in Nitrocharge boots, find the current line-up available at soccer.com. Just a quick blurb on the performance of the boots for those that want a little extra substance and background…..
As with the original Nitrocharge release, everything about this second generation boot caters to the “Engine”, or the busy player who tries to rule the center of the pitch. It comes together nicely Adidas has created something of a winning formula for players in that style. In saying that, there is no reason why these won’t suit other players like outside backs and wingers. Don’t become offset by the labeling behind the boot as they are equally adept at suiting other styles on the pitch. The focal point of the boot is that EnergySling. Adidas has re-positioned the system on these, choosing a more horizontal line rather than the angled shape we saw on the original. It’s purpose is to provide stability and additional energy through movement, specifically as players move laterally across the pitch. In theory, it acts in similar fashion to a suspension system, rubber actually soaks in energy and reduces the amount of vibration – thus the whole “energy retention” focus behind the release. And of course, what do all pro’s do after a training session? Spend some time cleaning their boots of course! Well, at least the good ones do. 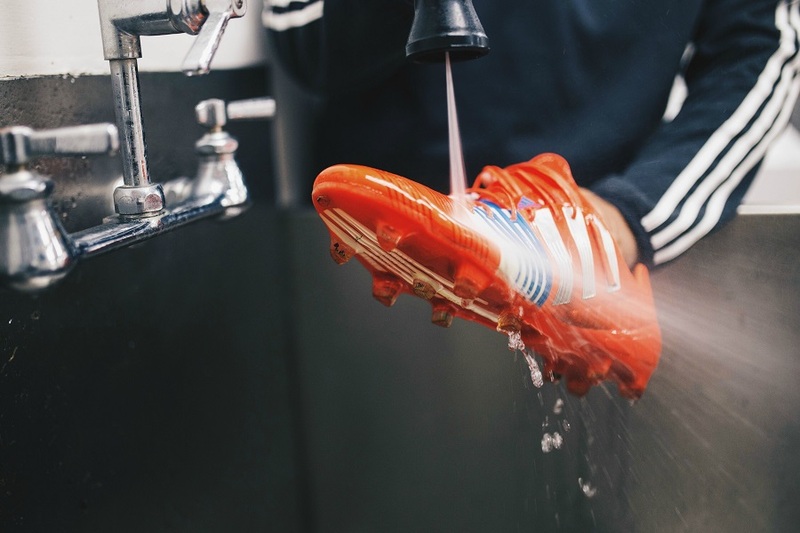 Having a boot sprayer on hand is standard in most MLS locker rooms these days – things haven’t yet got to EPL standards, where youth players clean the senior player’s boots. 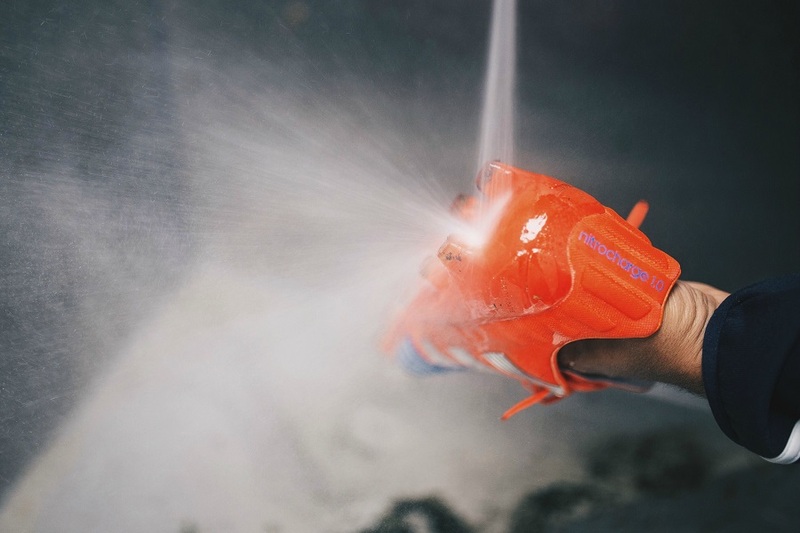 A quick spray down is all it takes to clean them off and keep them in healthy shape between training sessions and games. Well played, Mr. Gonzalez – way to be a proper role-model for all soccer players out there! We have just posted a sample of the images taken, you can see the rest at this imgur folder.